Shop online for 5 hobby construction kits clearance items at discounts up to 90%. Wood is the most popular of the 3 hobby construction kits clearance items categories, then Mission Project Accessories, and Pinewood Derby. Hobbico is ranked #1 out of 4 hobby construction kits clearance items manufacturers, followed by Darice, and Revell-Monogram. 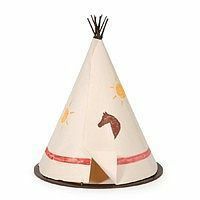 This is the Teepee Wooden Model Kit (8x10) by Darice. 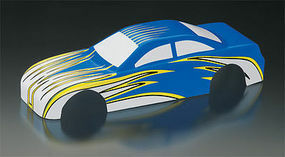 This is the Pinewood Derby EZ Body Stock Car B from Revell. Suitable for Ages 8 & Older. 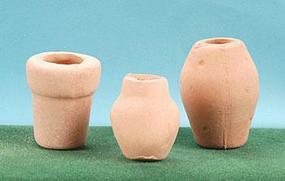 This is the Set of 3 Clay Pots from Hobbico. Suitable for Ages 8 & Up. 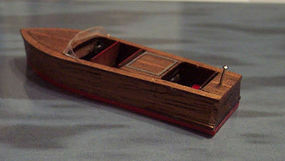 This is the 21' Triple Cockpit Boat HO Scale Model Railroad Boat Kit by Osborn Model Kits. 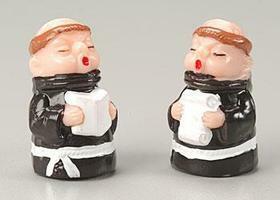 This is the Monk with Bird from Hobbico. Suitable for Ages 8 & Up.